New. 2011. Paperback. A collection that gathers together Pulitzer Prize-winning short fiction, including "Pale Horse, Pale Rider", where a young woman lies in a fever during the influenza epidemic, her childhood memories mingling with fears for her fiance on his way to war, and "Noon Wine", a haunting story of tragedy and scandal on a small dairy farm in Texas. Series: Penguin Modern Classics. Num Pages: 384 pages. BIC Classification: FA; FYB. Category: (G) General (US: Trade). Dimension: 128 x 198 x 23. Weight in Grams: 280......We ship daily from our Bookshop. New. 384 p. Penguin Modern Classics . Very Good. 384 p. Penguin Modern Classics . 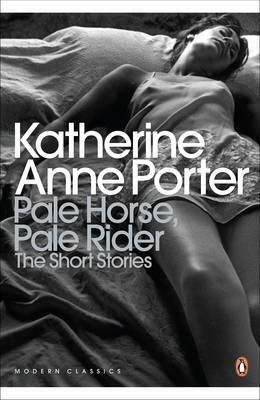 A collection that gathers together Pulitzer Prize-winning short fiction, including "Pale Horse, Pale Rider", where a young woman lies in a fever during the influenza epidemic, her childhood memories mingling with fears for her fiance on his way to war, and "Noon Wine", a haunting story of tragedy and scandal on a small dairy farm in Texas.